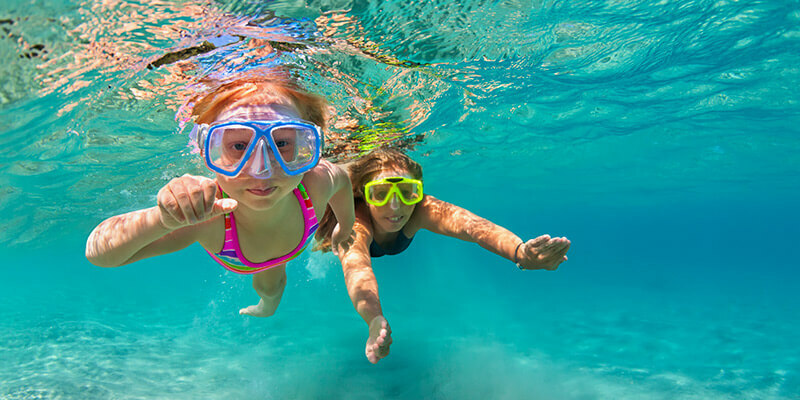 While there are plenty of things to do at Villa del Arco Beach Resort & Spa, we know that a vacation to the enchanting destination of Cabo San Lucas would not be complete without venturing off the resort grounds for some additional fun, adventure, and entertainment. There are a number of Los Cabos tours and other exciting things to do in the city for visitors of all ages. Check out some of these Cabo San Lucas activities and you will be on your way to having the vacation of a lifetime. The popular destination of Cabo San Lucas has spectacular nightlife, which is well-known for its eclectic mix of bars, restaurants, nightclubs, and other sensational forms of entertainment. There are a number of unique venues open late, providing a myriad of opportunities for visitors to enjoy the upbeat energy of the Cabo San Lucas nightlife. 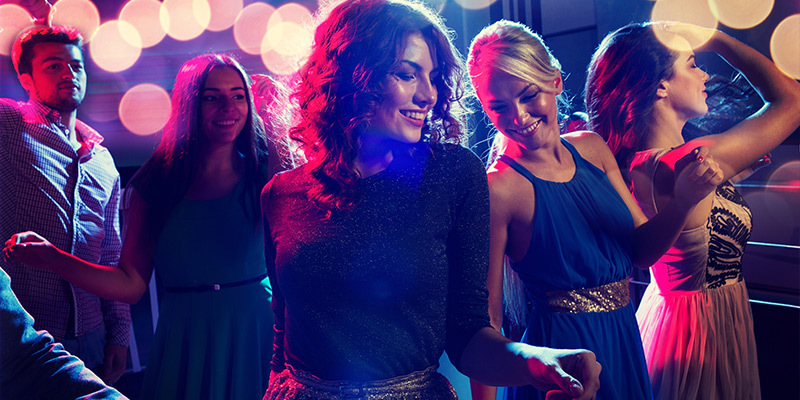 Those who wish to can head downtown for a night of entertainment and memories that are sure to enhance what will already be a spectacular vacation. 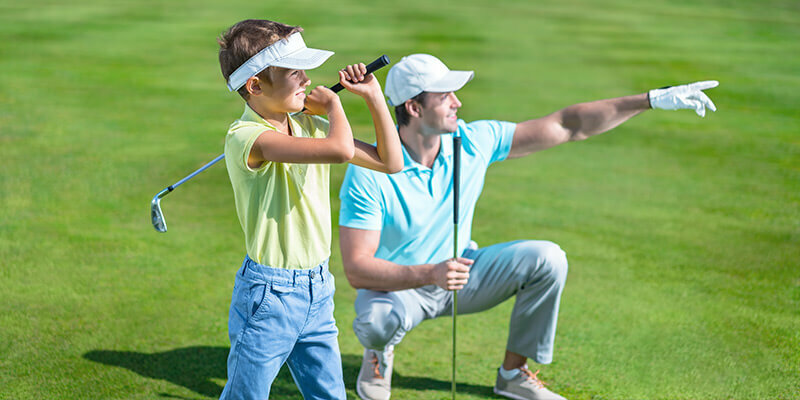 Championship golf courses, such as those designed by Nicklaus, Watson and the Dye Corporation, are located just minutes away from the Villa del Arco Beach Resort & Spa Cabo San Lucas, making it an excellent choice for golf enthusiasts. Uncrowded greens, sensational weather, and the picturesque landscapes of Cabo San Lucas lend to what will be an incredible golf experience. Discover the "Eighteen Hole wonders" golf writers have raved about on your next Cabo San Lucas vacation. Palmilla, one of the top 100 courses in the world, Cabo San Lucas Country Club, Querencia, El Dorado and Cabo Del Sol are just a few of the world-class golf courses you’ll come to love when staying in Los Cabos. Some of the best sport fishing in the world takes place in the crystal clear waters off the coast of Cabo San Lucas. 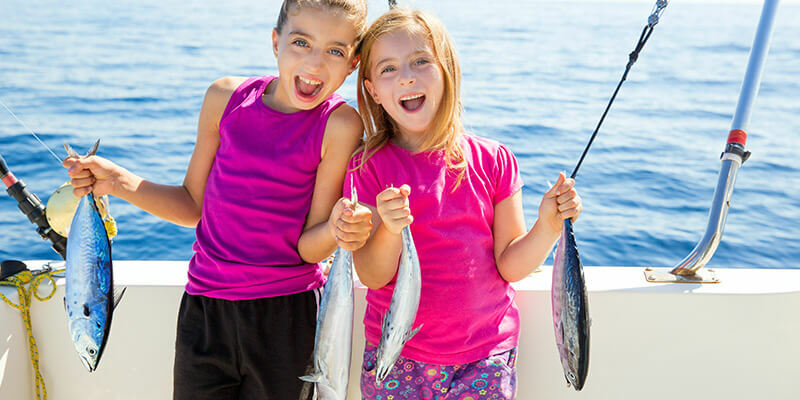 The area, known as the "Capital of the Marlin," provides fishermen and other adventurers with a wide range of sport fishing opportunities, including Los Cabos tours that seek out Blue, Black and Striped Marlin, as well as Mahi-Mahi, Sailfish, Roosterfish, Tuna, and more. The Concierge at Villa del Arco Cabo San Lucas will be happy to help you plan an exciting day on the water, in addition to any number of other Cabo San Lucas activities. Most reservations require a minimum of 48-hour advance notice so make sure to visit your concierge early on in your stay, or reserve online before your trip through our activities booking system. The azure waters of the Sea of Cortez and the Pacific Ocean provide the perfect setting for a number of Cabo San Lucas activities, including scuba diving, snorkeling, and whale watching, which are just a few of the incredible water activities you can enjoy while vacationing at Villa del Arco Beach Resort & Spa. The luxury resort in Cabo San Lucas is located right on El Medano beach, the city’s most popular swimming beach. Due to its idyllic location, there are a wide range of Cabo San Lucas activities, such as parasailing, swimming, sea kayaking, water skiing, and motorized water sports, which can be enjoyed without going far from the resort grounds. Our Concierge can help with reservations and scheduling so that you and your travel companions can enjoy any number of water sports during your stay, or you can make reservations ahead of time through our activities booking system. 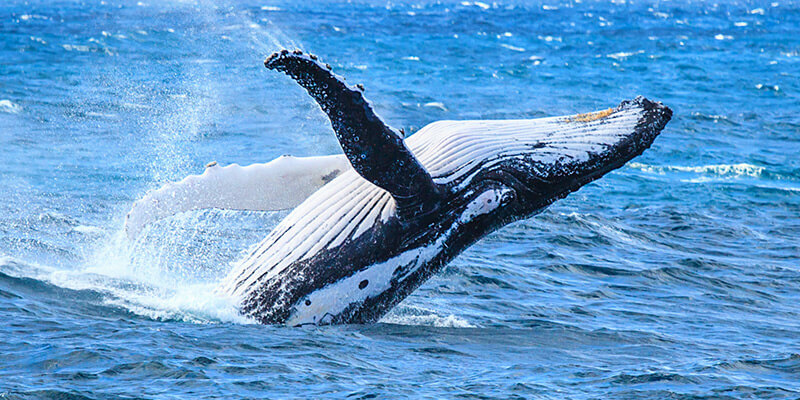 Cabo San Lucas is known to be one of the best places to head out on a whale watching tour. Blue Whales, Humpbacks, Orcas and other whales can be seen throughout the waters of the Pacific and the Sea of Cortez on a Cabo whale-watching tour from January to March. Large pods of whales migrate during the winter months to seek shelter and food while they breed and birth their young. North of Cabo San Lucas, there are several lagoons, which provide the ideal setting for a whale watching adventure. While most Cabo tours take you out into the open waters, there are some where visitors can pet the whales from the fishing docks, making for a truly unforgettable experience. Reserve your Cabo tour online before your trip with our activities booking system or visit our concierge for more information. 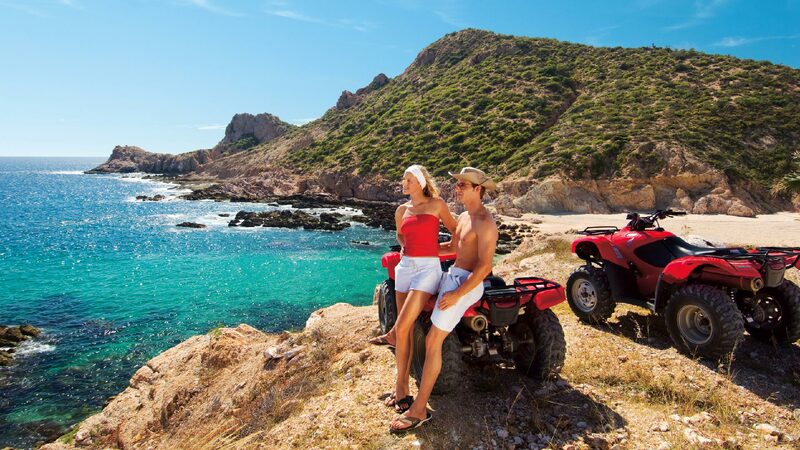 Both Cabo ATV tours and Motorcycle rentals offer an exciting way to experience the surrounding desert terrain. 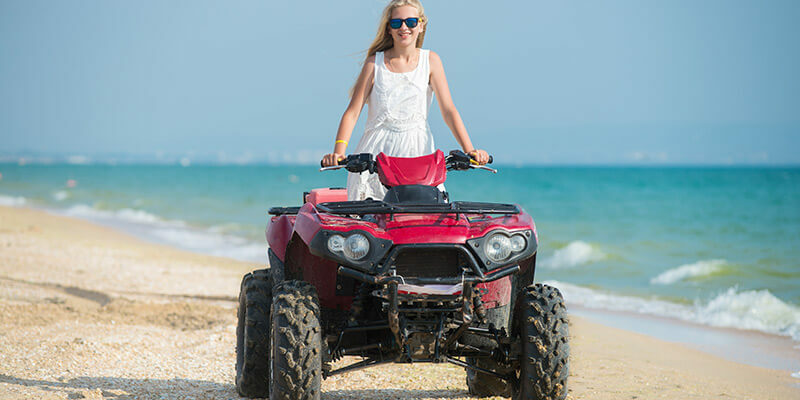 While you enjoy riding out in the open, you should know that you will be required to wear a helmet and goggles, and you’ll need to stay off the beaches while on a motorized vehicle due to the delicate ecosystems of Cabo San Lucas beaches. Reserve your Cabo tour online before your trip through our activities booking system. A wide range of Cabo tours is available through our concierge and our online activities booking system. You’ll find opportunities to experience everything from glass bottom boat tours to sunset cruises. 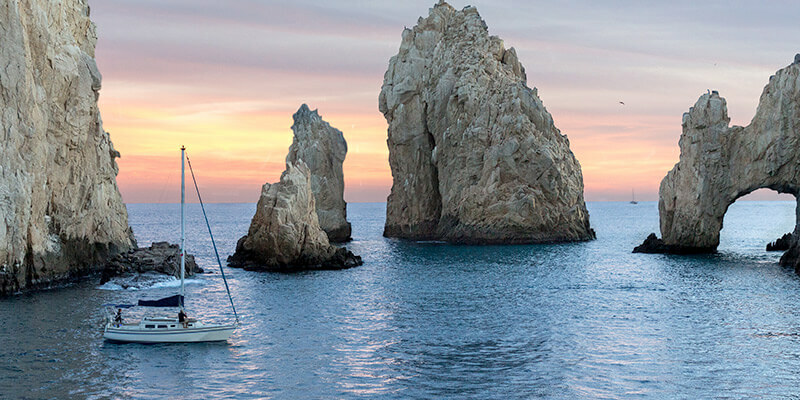 Don’t miss out on these amazing Cabo San Lucas activities.